Juanita Dryer co-hosted a workshop on educational financial literacy March 26. One important aspect to anybody's college education is understanding the numerous financial parameters that are involved when enrolling in an institution. 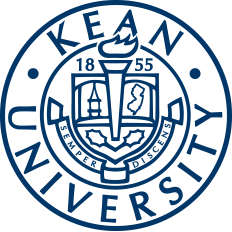 Kean University offers numerous workshops and resources both in-person and online for advice on financial aid. Juanita Dryer, the managing assistant director at Kean University's Office of Financial Aid, is always looking to help those with any sort of financial aid inquiries and in turn hosts several workshops and informational sessions throughout the school year to help keep students informed. One of these aforementioned workshops occurred Tuesday, March 26, as Dryer and co-host Brian Treanor presented the basics of FAFSA and other financial aid topics to prospective students. Dryer was happy to help those who needed assistance. "The financial aid and FAFSA process can be a confusing one, so I like to do what I can to help those that may be unsure of things," Dryer said. "There are a ton of different scholarships and grant opportunities to those that apply themselves. Get out there and take advantage of every chance you may have." 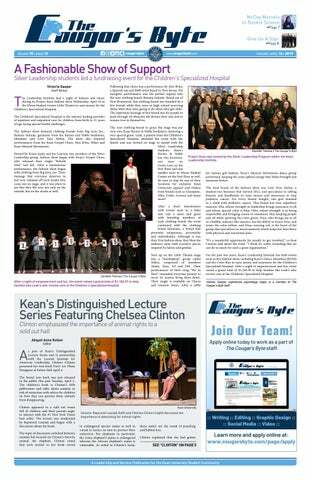 Kean University offers four types of scholarships: Freshman Merit Scholarships, Distinguished Freshman Scholarships, Kean University Foundation Scholarships and Transfer Merit Scholarships. Additional scholarship information can be found here. Additionally, Kean University offers grant, student loan and federal work-study services as well. Eight out of every 10 Kean students receive financial aid, and Kean graduates have an average of 36 percent less debt than the national average for other college graduates. "There are ample opportunities to get the funding you need. Plus, we're a bank of resources!" Treanor elaborated. "You have to apply yourself and get out there. There are numerous government and private resources that one can tap into to get the financial help they need." Those referenced resources include Kean's Office of Financial Aid, the Federal Student Aid website, the NJ Higher Education Student Assistance Authority and the National Student Loan Data System. Each can provide answers to potential questions and furnish resources to those searching for financial assistance. Also, the New Jersey Financial Aid Management System (NJFAMS) allows all NJ resident students to manage their entire financial aid portfolios in one centralized place online. Students can view their personalized financial aid to-do lists, apply for scholarships, view eligibility information, update contact information and much more. "It is an absolutely wonderful resource, one that I think should become a nationalized resource," Dryer stated. "It makes managing your scholarships and loans much, much easier." The NJFAMS webpage can be accessed here. Kean's Office of Financial Aid official webpage can be accessed here. Juanita Dryer can be contacted at jdryer@kean.edu and would be happy to field any and all questions. Kieffer Braisted is a Staff Writer for The Cougar’s Byte. He joined the staff in March 2018.